Limassol, the largest coastal town in Cyprus, sprawls around Akrotiri Bay, midway between Larnaca and Paphos and close to the southern foothills of the Troodos Mountains. It's the island's principal cruise port. Cyprus is the kind of destination where you have to venture off the beaten track to uncover the true nature of the place. At first glance, Limassol is a low-rise, sun-baked, urban sprawl, slightly chaotic and architecturally uninspiring. 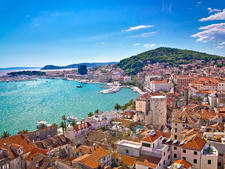 Scratch the surface, particularly around the castle area, and you'll find a tangle of shady, pedestrianized streets in the medieval center; ancient mosques alongside Greek Orthodox churches; and broad shopping boulevards, lined with boutiques that showcase up-and-coming designers. Its waterfront, still in the process of being developed, offers a sculpture park and lovely vistas of the bay. All in all, Limassol has, for years, been a pleasant -- if not exactly cutting-edge -- destination, in terms of style and cuisine. Immediately outside the town are rolling hills, olive and citrus groves and tiny villages, where locals still use donkeys for transport. Limassol is at the heart of the island's wine-growing industry, and visitors will see dusty vineyards, clinging to the sun-bleached, sloping hills. It might not otherwise feel old, but Limassol, which dates to at least 2000 B.C., is the gateway to sites of antiquity, such as Kourion, with its Greco-Roman Theatre, and, nearby, the Temple of Apollo. Also worth a look is Nicosia, the only capital city in the world to be divided by force (by Turkish and Greek Cypriots). If you feel like a low-key day, you'll appreciate Limassol itself. Despite the city's busy urban setting, Limassol's 200,000 residents demonstrate a healthy respect for the work-life balance, spending time in coffee shops, strolling along the beach in the evenings and dining in large family groups in the many tavernas and restaurants. This attitude gives the town a holiday atmosphere, even in the spring and late autumn. 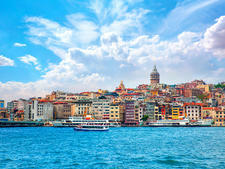 The tourist season is long, with cruise ships calling from April or May up until early November. Limassol essentially exists in two parts. 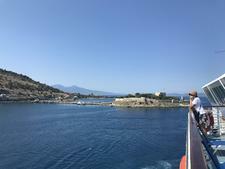 The main town is the closest area to the port, where you'll find, just inland, the medieval castle and the main shopping boulevards of Makarios III and Agiou Andreou. The beach stretches all the way from the waterfront to the far end of Akrotiri Bay, a narrow ribbon of development that has been dedicated mainly to four- and five-star hotels. Limassol is ideally situated for cruise passengers, as it's in the middle of everything. The important archaeological sites of Kourion, Kolossi Castle and Limassol Castle are less than 30 minutes from the port. Day trips into the mountains and wine-growing areas are easily manageable. Paphos, an attractive UNESCO World Heritage site and major tourist center, is less than an hour away -- thanks to efficient motorway links -- while the capital, Nicosia, is an hour inland to the northeast. Visitors to Cyprus tend to remember the friendliness of its people. Everybody in the hospitality trade speaks English, and everybody -- from taxi drivers to taverna proprietors -- will engage visitors in conversation. People are not on the make here, although they're pretty entrepreneurial; they're just naturally and delightfully hospitable. Cruise ships dock at the Limassol New Port, a combined cargo and passenger facility, located five kilometers (three miles) west of Limassol center. Some cruise lines provide shuttles to the old town center; otherwise, taxis line up at the port when a ship is in. The walk is not especially attractive, particularly in the heat of summer; save your energy for the town itself. Inconveniently, car-hire services are not available at the port, and if you prebook a rental car, you will be charged extra for its delivery to meet your ship. The passenger terminal houses currency exchange facilities, public telephones, a poorly stocked duty-free shop and a tourist information booth. Limassol and Cyprus generally are relatively safe places, but keep an eye on personal belongings (as you would in any busy tourist spot). Be careful crossing the main road that runs along the seafront in Limassol's Amathus area; people tend to drive too fast there and not pay attention. Finally, apply plenty of sunblock; the sun is extremely strong, and it's easy to get burned. Remember, Cypriots drive on the left, so be careful when crossing the street. Cyprus has three types of buses: inter-urban, rural and urban. Urban buses are fine if you want to make short hops around town. But when you only have a day and want to explore, the most realistic way to sightsee is either to join a tour or to drive yourself -- because buses are slow and not always reliable. Plus, some of the major sights are in the middle of the countryside. Self-driving options are enormously popular, from cars and quad bikes to mopeds, bicycles and dune buggies. Driving is on the left, so Brits feel very much at home. Limassol features plenty of taxis. Urban taxis have meters and can be hailed on the street. Rural taxis have to be booked in advance (ask a taverna owner or shopkeeper to call one for you) and don't use meters, so agree on the fare before departing. Cyprus uses the euro. For current currency conversion figures, visit www.oanda.com or www.xe.com. Credit and debit cards are widely accepted in the resorts, although some tavernas in the more remote areas might only take cash. Traveler's checks can be cashed in all the major banks. Banks are usually open from 8:15 a.m. to 12:30 p.m., Monday through Friday, with some located in tourist areas (the main Amathus strip, all along the seafront, beyond the main town and the area around the medieval castle in the center) opening in the afternoons, as well. Greek is the official language, with local variations in the dialect. Almost all Cypriots in the tourist areas speak excellent English, and road signs are in both languages. 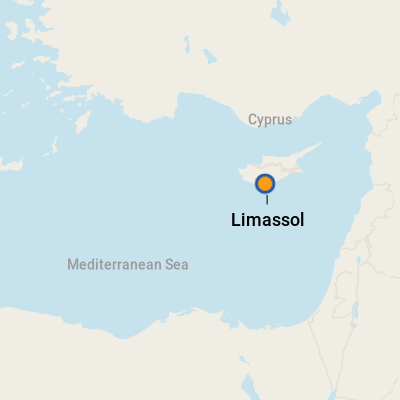 Place names appear in the Anglicized version of the town's original Greek name, so Limassol is Lemesos, Paphos is Pafos, and Nicosia is Lefkosia. Limassol is packed with excellent restaurants. It has every kind of fast food under the sun, from T.G.I. Friday's to Pizza Hut, as well as some expensive, gourmet restaurants that are done more justice at dinner than at lunch. But, you can find plenty of places to have terrific local lunches, too. If you want the full Cypriot meze, allow all afternoon, and skip breakfast. You can get meze in any taverna. It's usually better as you venture farther from the tourist strip. Meze consists of lots of small dips, salads, sausages and pieces of seafood to start. That's followed by a heftier main course of meat or fish, vegetables and potatoes, rice or fries and then sweet baklava and other pastries or fruit. More and more things will keep appearing, so pace yourself! Some places specialise in fish, others in meat. For a really good meze, go to Limanaki at the Amathus Hotel, located on the main hotel strip west of town on Amathus Avenue. It's an award-winning upmarket fish taverna right on the beach. Although the restaurant was created by the hotel, it feels authentic, and the quality is fantastic. Try the meze, or stick to the day's catch. Some dishes have classy twists, including stuffed calamari. Lunch at I Orea Ellas makes for a great day trip; it's in the village of Vouni (also the location of an herb farm and the Cyprus Donkey Sanctuary, which you can visit to "adopt" a retired working donkey). The taverna's owner, Mrs. Phaedra, cooks authentic, regional Greek food with a Cypriot twist and makes restina wine on the premises. It's a good day out for families. Olive oil and olive tree products -- soap, candles and wood carvings, for example -- as well as mountain honey are good buys. Sets of Greek worry beads make good trinkets and are easy to pack. Specialty stores sell decent goatskin rugs; goats are used on Cyprus for everything -- meat, milk and skin. Cyprus is famous for its handmade lace -- Lefkaritika.